Medical specialists and specialty clinics in Bochum recommended by senior consultants in Germany can be found in the Leading Medicine Guide. You can find experts in Bochum to treat your illness and you may contact them directly. Bochum is located in the centre of the cultural region of Ruhr in the state of Nord Rhine Westphalia and has 300,000 residents making it the sixteenth largest city in Germany. 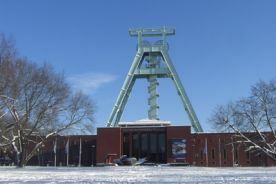 The once coalmining town of Bochum is today a modern centre of services and education with several nationally known museums, events and cultural offerings. The Bochum theatre is among the most renowned houses in the German speaking region and since 1988 the Musical Starlight Express has been attracting visitors to Bochum, which is witnessed more than 13 million visitors so far. The Ruhr metropolis of Bochum enjoys a supra-regional reputation as a healthcare location. With more than 10 hospitals and about 1,000 doctors, almost 106,000 patients are treated every year. The Leading Medicine Guide shows you a selection of doctors and clinics that are ranked among the medical practitioners or specialty clinics in Bochum.